It is already October and while my colleagues can’t wait for the ski season to begin, I am desperately chasing the last summer vibes. 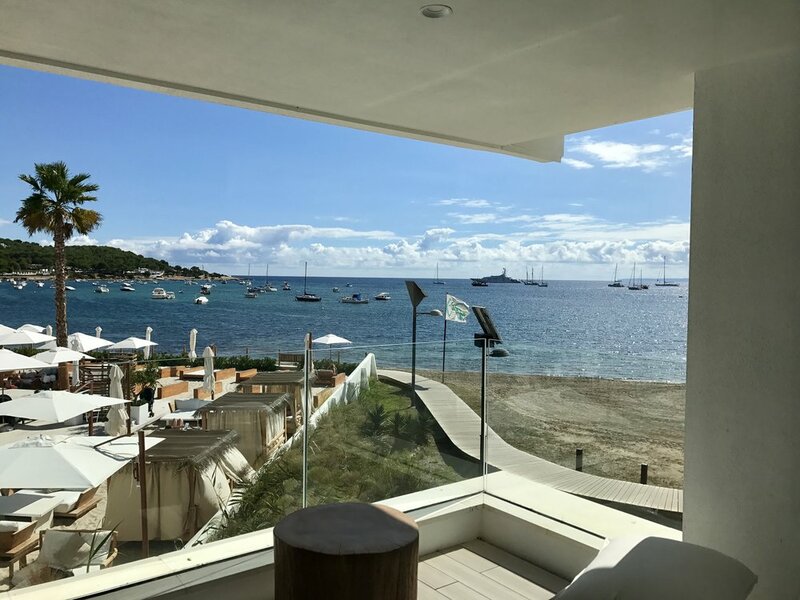 As luck would have it, Ibiza just had an exciting hotel opening and I had to check it out. 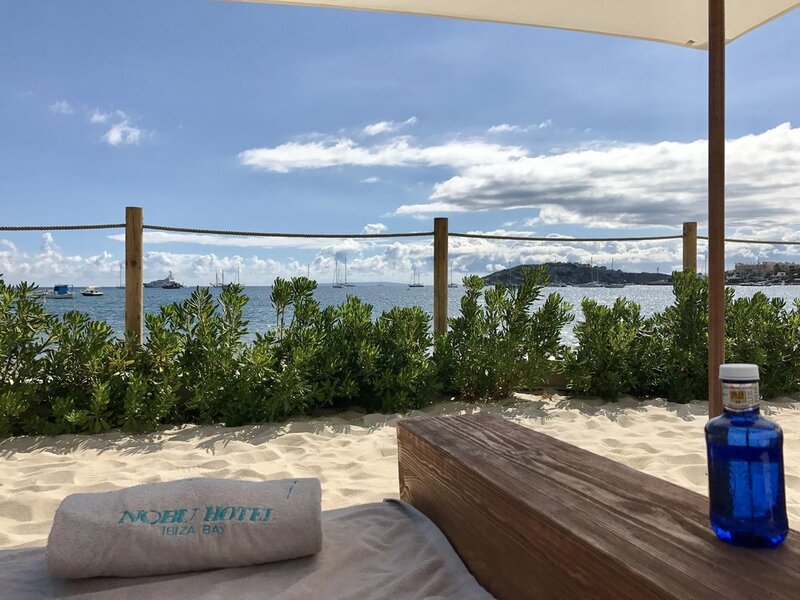 The Nobu Ibiza Bay is just a short ride from the airport away (the whole island is quite small and you can reach every corner within 30 minutes) - while not in the heart of Ibiza city, you can reach old town within 5 minutes by car or by a relaxed 15 minute-walk along the beach. The bedroom was fairly spacious and I didn’t miss anything although the bed seemed to be more on the smaller side. Nevertheless I slept like a baby as the duvet and linen were really soft. 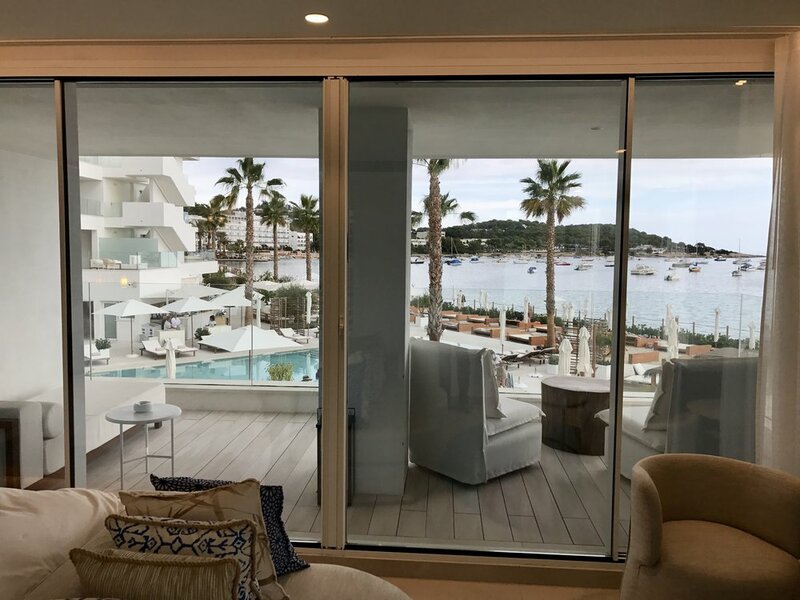 All in all the interior design of the suite fits perfectly to the island of Ibiza as well as the Mediterranean Sea with lots of brown and beige tones along with blue details. 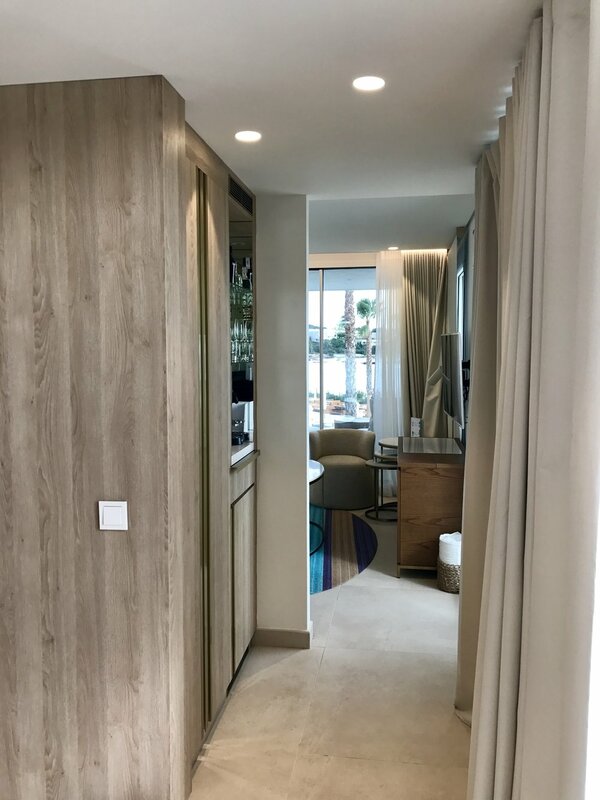 Generally, I found the interior design to be on point considering it gives the hotel a very light yet cosy feeling, which I adored. The food and beverage outlets are spread around the whole hotel with all kind of offerings. 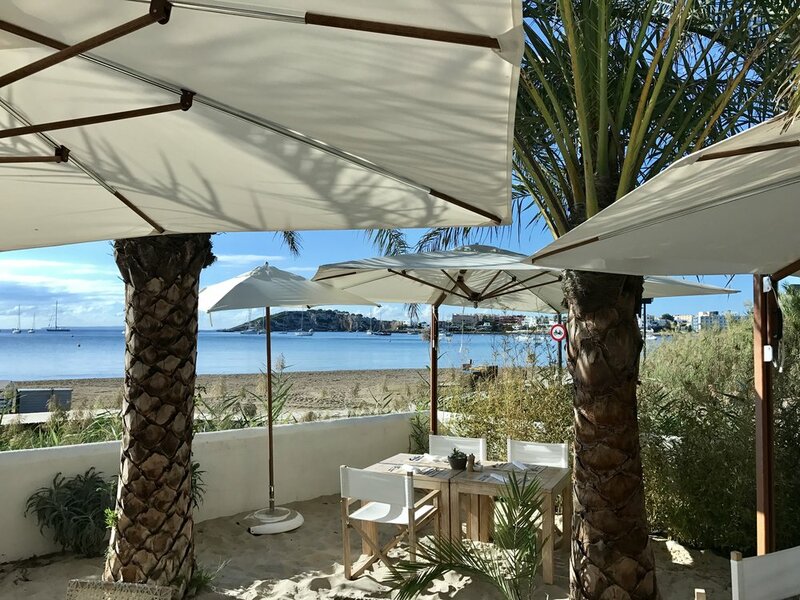 There is a small café-styled restaurant across the reception which concentrates on gluten-free food (their sandwiches are to die for), a classic pool bar with all typical offerings, a Mexican restaurant, a seafood beach restaurant and last but not least, the famous Nobu restaurant. 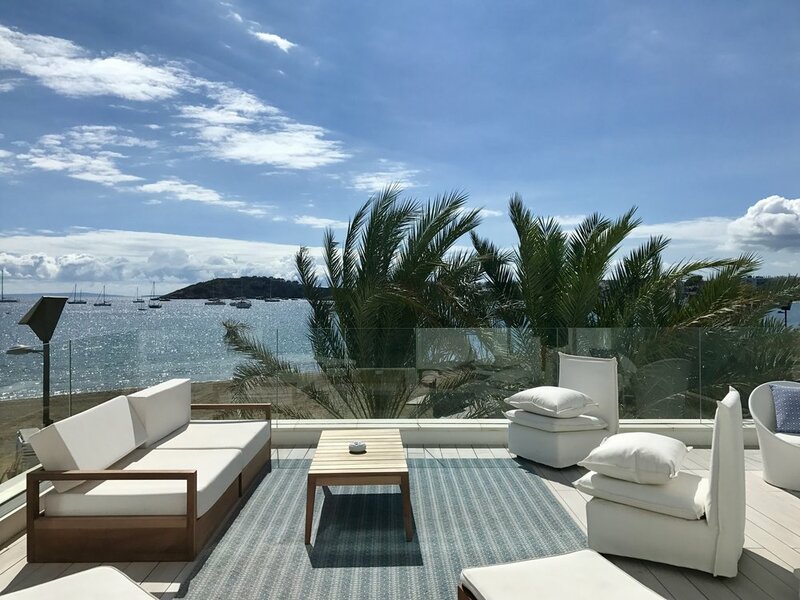 Initially we didn't spend much time at the resort given the bad weather (can’t blame a beach resort in Ibiza for not having that many indoor activities…) though the next day was much better and were finally able to check out the pool/beach area. The hotel offers two pool area, the main area and a separated kids cool as well as a small beach area. You should note that the beach itself is public and not private as you may expect. Breakfast is served right next to the pool and all offerings were solid though not as extraordinary as similar hotels on the balearic islands… Service in general was always well intentioned and friendly yet not up to a certain standard, it is still their first season so I’m sure things will work out better in the near future! 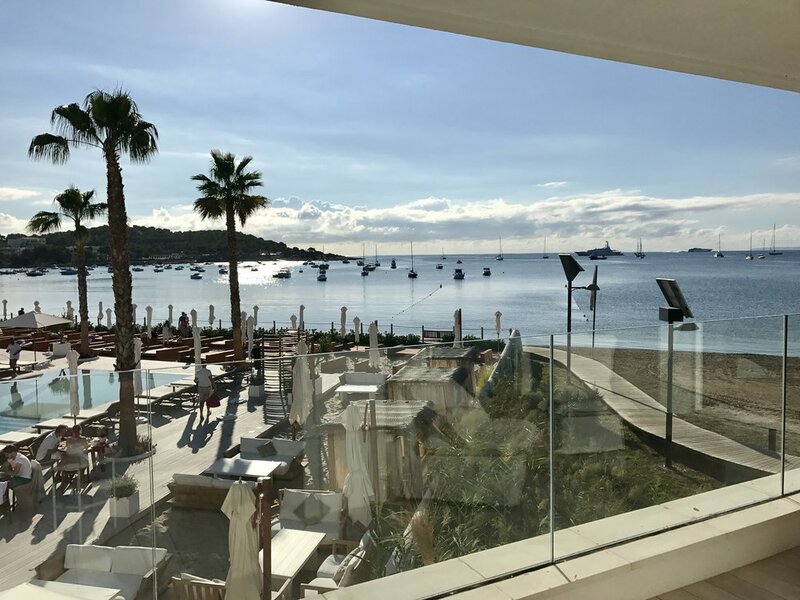 Please keep in mind that Ibiza is not made for everyone - it’s quite a funky, quirky place and all about being there and being seen. I would return in a heartbeat though I am not sure if it is the right place for a laid back family holiday or a peaceful honeymoon getaway. 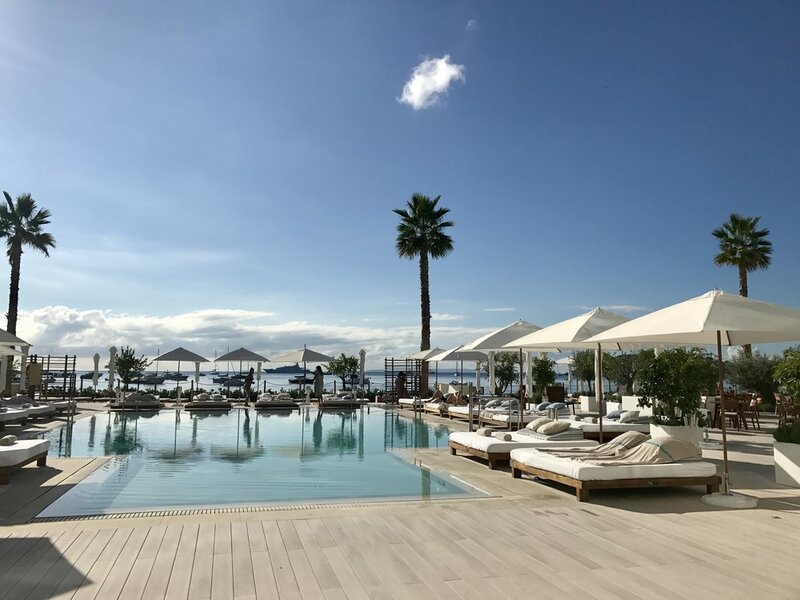 Niklas was guest of the Nobu Ibiza Bay and his stay was complimentary for editorial purposes. However all above written expresses our own opinion and has not been influenced.